Ever wanted to get CD album art from within a custom Java app? Amazon Web Services are the perfect tool for the job. In fact, you can get a whole lot more than just album art – you could, if you wanted, build a full Amazon store front using there vast APIs. But lets just dip our toe in the water and see how easy it is to get CD artwork using the Amazon Associates Web Service. Start by signing up for a free account here. Amazon will send you a access key which you’ll need when calling their web services. This key doesn’t have to be kept super secret, as it will be passed as plain text through the internet (though I chose not to include my key in the demo below). Next, download the Java APIs here (you need to be logged in with the account you created above). // build the search request that looks for images of music. // create a search response from the search request. // get the URL to the amazon image (if one was returned). // the icon returned will also be null. // do nothing - don't care. If you look at the Javadoc for ItemSearchRequest, you’ll notice that you can easily lookup many more types of objects, like books and movies and can get more than just image data about them. 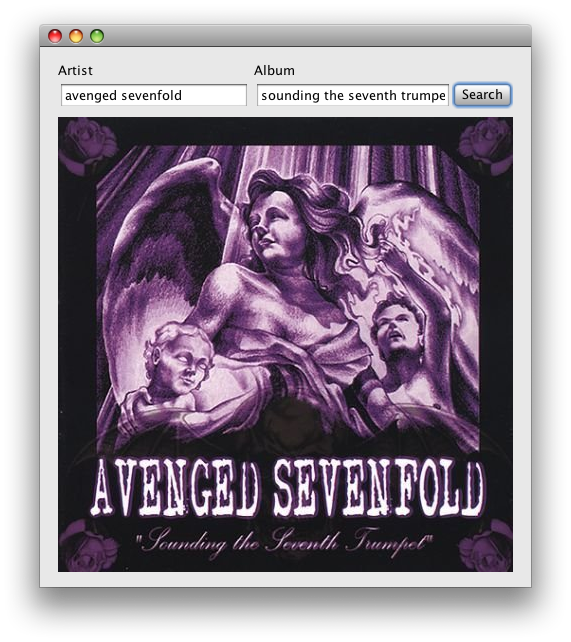 Thanks Cristian…Avenged Sevenfold is a fantastic band! The API link is broken. WHere can I downlod them? It works this way! Thanks! could you tell me how to use this pls. i’m new to aws and fairly new to java. but which of the amazon classes do i create a new instance off to make your methods work? cannot find symbol for all 3 of those words? I have the same problem (really newbie using AWS, i just want to get the artwork in a music player i developed in Java) and the link you posted there is no available anymore. Could you please update it? Does it cost anything to use this at Amazon. I didnt found anything about that on the website. the api link is again broken , where can i download the api?? This this really free? Will it charge me after going beyond free tier usage of AWS?